This week I give you Batman #702, from the original series, with an awesome cover by Tony Daniel, which was released in October 2010. I see a lot of upside with this comic. 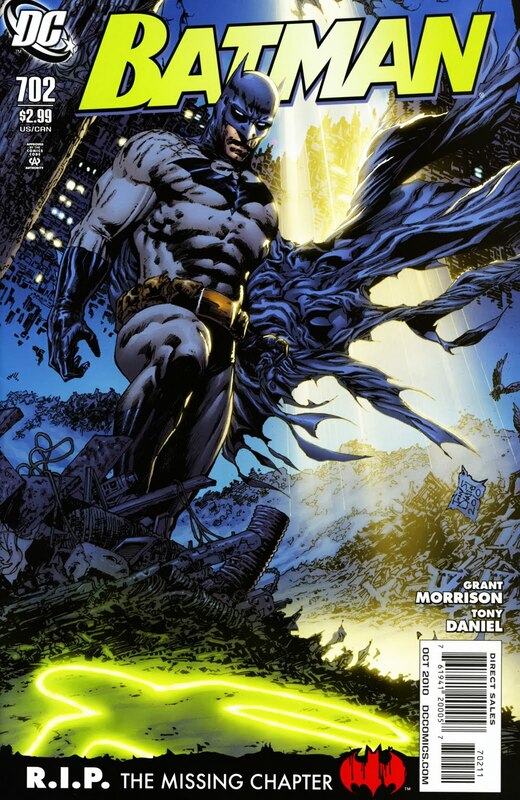 First off, Batman + Tony Daniel + Grant Morrison is a win in my opinion. Second, this was the missing chapter of the Batman story between his “death” and the beginning of his “return”. And last, which I believe is a big one, it is the only time Darkseid ever appears in a Batman comic. While this may not seem like a big deal, if Darkseid does turn out to be the Big Bad in the JLA movie, I think people will be looking for his appearances in different books. And with this being the only time he shows up in Batman titles, I think it is in your best interest to grab some of these now. The print run of this book is around 60k. For that number, I would expect there to be more of these comics out there for sale, but looking at the bay, there are not that many. They are also somewhat cheap, with them ranging from cover to about $10. With all the good things going for this comic, grab a few! You will be happy you did! Nice selection. And that’s a great cover to boot.